Lean Portfolio Management – Executing portfolio vision and strategy formulation, chartering portfolios, creating the Vision, Lean budgets and Guardrails, as well as portfolio prioritization, and roadmapping. 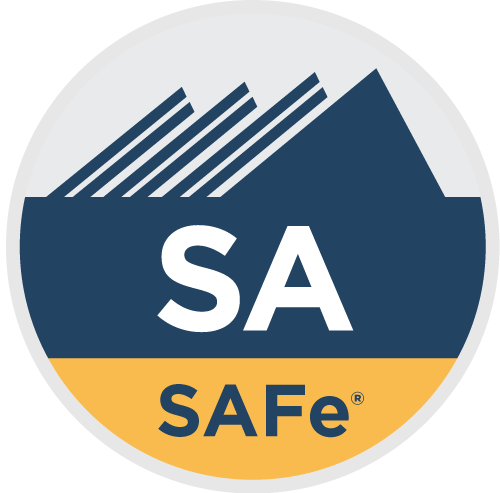 With five major updates since its initial release in 2011, SAFe has grown with the marketplace as we uncover new and better ways of developing software and systems. Although new versions of the SAFe Big Picture are released only occasionally, the Framework knowledge base is continuously updated with new and improved guidance between releases. Please subscribe to SAFe Updates to stay informed of these important changes. Our core belief is simple: Better software and systems make the world a better place. We help enterprises achieve this mission through the development and publication of the SAFe website, and through our world-class courseware, training, and certification programs. As you can imagine, with these kinds of results, the practice of SAFe is spreading rapidly around the world. Seventy percent of Fortune 100 companies, and a growing number of the Global 2000 have certified SAFe professionals and consultants on-site, and over 300,000 practitioners have been trained to date.